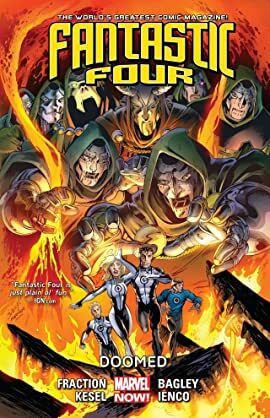 Collects Fantastic Four (2012) #9-16. Did Ben Grimm's prank cause the accident that scarred Victor Von Doom? 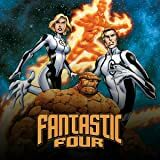 The Fantastic Four must deal with the Council of Dooms, who treat that event as their nativity - and who have traveled there to witness it! To make matters worse, Mr. Fantastic's sickness spreads to the others - and someone may be behind the illness that's befallen the First Family! The team must mastermind a planetary heist for technology that could save their lives, but spacetime has had enough of their traveling back and forth across it - and they soon find themselves trapped in a universe where the only five things left alive are themselves...and a cosmic, power-mad Dr. Doom!